If your green thumb is out of joint thanks to limited (or nonexistent) outdoor space, try some "out-of-the-yard" thinking, and you’ll soon be digging in the dirt. You can garden anywhere if you’re resourceful. If you’re in an urban setting, take inspiration from the high-rises that surround you. When there’s no room to spread out, go up. Use tiered planters and a trellis to create a living wall or a “room” divider on your balcony. Add wall pockets to grow small plants such as herbs. When you think of your outside walls as garden space, you suddenly have lots of room! Think outside the window box! Who says plants only grow on prairies and in pots? Create a unique arrangement of washbasins, bowls, cookware, re-purposed rain boots, previously loved furniture – nothing’s off limits for the innovative container gardener. If you have neither the space nor the green thumb, this solution may be for you. The recently invented Mod Garden is a small indoor farm in a cabinet, and it’s fully automated. You simply fill the water reservoir, add seeds, and wait for your veggies and herbs to grow. Some restaurants in colder climes are trying it to grow off-season produce. Fit a large wicker basket with a plant-friendly container filled with potting soil, and add your favorite herb and edible flower seeds. Soon you’ll have a micro-garden that’s useful, decorative, and different all in one. If you love greenery but lack green space, why not bring the garden inside? Add small potted trees to sitting areas. 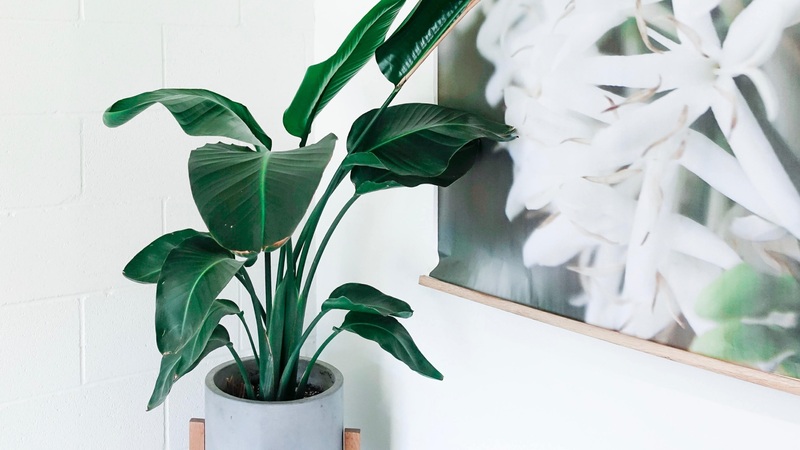 Integrate potted plants into your decor. Fill your foyer with foliage. You may not have much square footage, but you can transform the space you do have into a garden that flows from room to room. Just remember to provide your plants with the right soil and lighting conditions, water regularly … and enjoy! And, if all else fails you can always go with the artificial version of your favorite plants. There are many options for artificial greenery today that have vastly improved since your Grandmother's silk ivy baskets. Many are so realistic that you may not even be able to tell the difference.